Our family is a group of serious pizza lovers and we typically have pizza at least once a week. When things aren’t super hectic, we even like to have what we call “Family Pizza Night” where we eat pizza and curl up on the couch and watch a movie together. While we sometimes will order out for pizza, we mostly like to make our own at home and these delicious Mini Pepperoni Pizza Cups are one of the most requested items by my husband and boys. Even better, these pizza cups can be on the table in less than 20 minutes! These tiny treats are perfect for fun family nights, entertaining with friends, or days where you are simply craving the delicious flavor of pizza. These pizza bites may be small but they are packed full of flavor and will definitely leave you feeling fully satisfied. Preheat oven to 425 degrees and coat mini muffin pan with non-stick cooking spray. Lay pizza crust out flat and using a small round cookie cutter, cut out small squares. One pizza dough typically makes enough for about 36 pizza bites. Place and shape each circle into mini muffin pan. Place one pepperoni on top on each pizza bite and top with a small amount of pizza sauce. Sprinkle with desired amount of mozzarella cheese. Dice pepperoni slices into small cubes and carefully place them on top of the cheese. Place into oven for 7-10 minutes, or until sides and bottom are lightly golden. Remove pizza bites from oven and lightly sprinkle with Italian seasoning, if desired. Serve with Marinara Sauce or Ranch Dressing and enjoy! 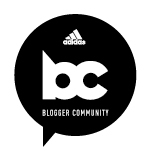 In case you’re not already, please give me a follow on Bloglovin and never miss a post! These look so delicious! Can’t wait to try to make them ASAP! omg these look amazinggggg!! I totally want to try them!! These look so yummy and what an easy way to get homemade pizza on the table, fast! Pizza is definitely one of my weaknesses! Haha these are my favorite to make! I sometimes sautre garlic and brush the dough with it while putting it in the muffin tins. YUM! I really like this idea. Like eating a delicious savoury cake. Yum! My family loves anything pizza! Thanks! Ours too! These are so fun to make and have at family gatherings as well! Oh my! Yumm, these look delicious! Yum!! I love pizza and I love the idea of a mini pizza!!! That looks really tasty! i sure could use some of these by the pool today! Sending some your way, Elle! Hope you’ve had a wonderful day! My kids would go crazy over these! I will be making these this week. I love easy at home pizza recipes! Thanks so much for sharing! Thank-you! I bet your little one will love these when he gets a little older, too! I love these. Who doesn’t love pizza, and the small size is perfect for a party! thanks for sharing, definitely pinning! These look great! I’m sure my kiddos will love them. Thanks for sharing. YUM! We are also huge pizza lovers and these are definitely something we will have to try! Love how cute and little they are. Haha! Love these! I’ve been eating way too much pizza lately so bite sized is perfect! Such a cute idea! I have done something similar, but I have used crescent rolls instead – making a pizza wrap! These are such a good quick bite to eat! I adore mini foods. These sound great and easy – two main criteria for me. Those look absolutely delicious and simple. I will be trying these really soon!!! These sound perfect for a picnic or even potluck! We have pizza/movie night too! These look quick and delicious! It’s so fun to incorporate a pizza/movie night, isn’t it?! Thank-you! Such a wonderful, easy recipe that my kids would love! I know I would love them, too! Thank you for sharing!! Yum these look great! Tasty but simple. I love using canned pizza dough or crescent dough for different types of pizza concoctions. Looks delish! My kids are crazy for pizza. I might have to try this! Make great appetizers or friday night pizza night fun night. You’re right, things just are cuter in mini form! These look delicious. I’m sure I’ll be a hero when I make them for dinner! These are such a great idea for an easy dinner. I love breaking up pre-made pizza dough into smaller chunks. Minis are always my fave! We absolutely love pizza as well! I love finding new ways to make and eat pizza! You are right these would be perfect for entertaining. Speaking as another HUGE Pizza fan, you just made my day! These look so delicious. And since they are mini, they totally don’t count right?!?! So easy, so nummy, so perfect for a great night of finger food! My hubby is the pizza obsessed one in our house, so I KNOW he’d love this! These look so yummy! You’re right; anything mini is automatically cuter! My boys would gobble these up, great recipe!! And I adore your new profile pic!! So pretty!! Thank-you so much! 🙂 I bet your boys would love these! These look so delicious! I can have one for breakfast right?? Might try to glam these puppies up for a “proper” grown-up party! BBQ chicken pizza cups, anyone? What great party food. Thank you for the idea! You’re so welcome! They’re yummy! Yes please!!!! These look perfect for family night and also parties and gatherings!!! We love pizza at our house!! ??? Oh my goodness! Pinning immediately. These look SOOOO GOOD! These look scrumptious! 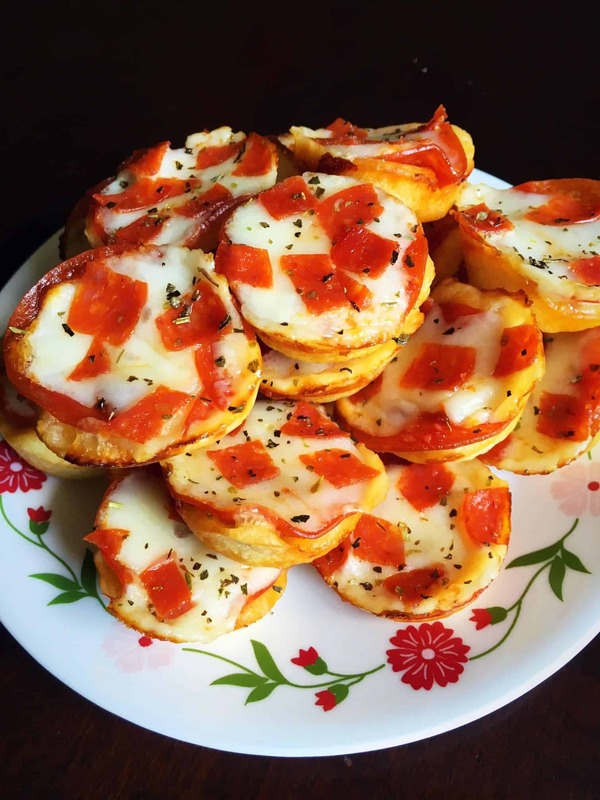 My son LOVES pepperoni pizza, so I know he would just love these! I will have to try my hand at making them! These look so delicious and kid friendly! I have a blog post titled “Why I’ll Never Apologize For Loving Pizza” haha so I had to check these out . These look so yummy! Soooo delicious. I think these are perfect for young kids too. Love it! Yum! I could eat these all day, every day! We love pizza too, these look SO good and easy! Already pinned them. Thanks for the great recipe! These look so good! I think I would end up eating them all myself! These look so scrumptious! And I love that they only take a few minutes to make! They would be perfect for a weeknight when I’m craving pizza! Thank you for sharing this delicious recipe on the #RecipeSharingParty! I hope to see you next week . Pinned and Yummed . Please visit #OverTheMoon on Sunday or #ThursdayFavoriteThings for more sharing fun! Do not forget to comment your link #s so I can be sure to visit and you get a chance to be featured! Yummy! Your photos make me really hungry! I can make this for Friday Movie night in my backyard. I’ve pinned yours in my food + drink recipes board. Thank you for sharing the recipe! Mini is most definitely better – these pizza cups are adorable. I don’t have kids yet, but I do have a love for pizza in bite sized forms 🙂 these will definitely be making an appearance in my kitchen soon! Thank-you! Hope you all enjoy them! This is perfect for snacking for the kids too. Thanks for sharing at the Inspiration Spotlight party. Have a great week ahead. Pinned & shared.